Urban Plunge began on Friday, Oct. 23, as 16 Greenville College students met in Ganton Circle and boarded a bus traveling to St. Louis. 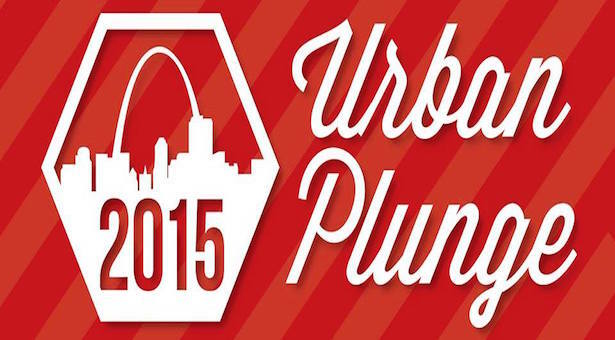 Urban Plunge is a weekend trip for students wanting to volunteer in the St. Louis area. 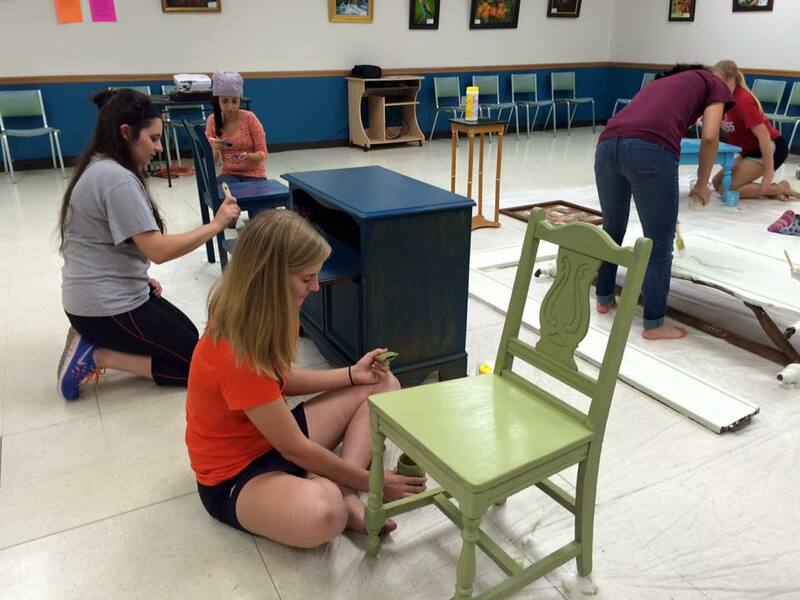 This semester, Urban Plunge went to two locations; Restore Décor in Edwardsville and City Lights in St. Louis. Restore Décor is an organization a part of the Faith Coalition. They restore old furniture and sell it to sponsor Habitat for Humanity, as well as help individuals and ministries in their community. At this location, students helped paint pieces of donated furniture. Senior Susanna Bowers explained how everything in the store was tasteful and something you would “actually want to put in your house.” Bowers loved the redemption in refurbishing the furniture. She said, “I loved that we knew it had not looked that good when it came in, but now it was beautiful and useful.” The students learned how the organization started, what it has done in the past, and how they could get involved. After serving the City Lights organization, GC students took a tour of locations that have had a significant impact in the history of St.Louis’ civil rights movement. These locations included the Arch, Fairgrounds Park, Pruitt-Igoe, and Ferguson. Later, students enjoyed a cultural dinner at The Vine, a Lebanese restaurant, and ended the night watching the movie Good Lie, a Sudanese refugee movie. 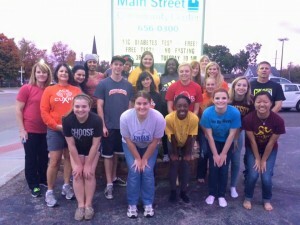 Urban Plunge is an opportunity for students to see what others are experiencing and find ways to help. Steele explained, “This weekend showed me a side of the city I was not familiar with, even after experiencing two Urban Plunges in the past. I was aware of the poor population and the homeless population in St. Louis, but I had no idea of how evident the dividers are in neighborhoods and services throughout the city. I also had no idea of the large immigrant and refugee population in the city as well. Through opening my eyes to these things, I have become aware of problems that need to be addressed and how I can get plugged into doing my small part to finding a resolution.” Keep an eye out for the next Urban Plunge trip because you won’t want to miss it!